The Georgia Bureau of Investigation has arrested a nursing assistant accused of causing injuries related to a 98-year-old woman’s death. Edna Warren sustained a broken leg following physical contact with nursing assistant Hakim Ogunkunle, 43, on Tuesday at Newnan Health and Rehabilitation. Warren was taken to Piedmont Newnan Hospital where she underwent emergency surgery, but died during the procedure. According to the GBI, an investigation revealed that Ogunkunle intentionally caused Warren’s injury. “He gave a preliminary statement about what occurred and it did not match the severity of the injury,” GBI spokesman Bahan Rich said. 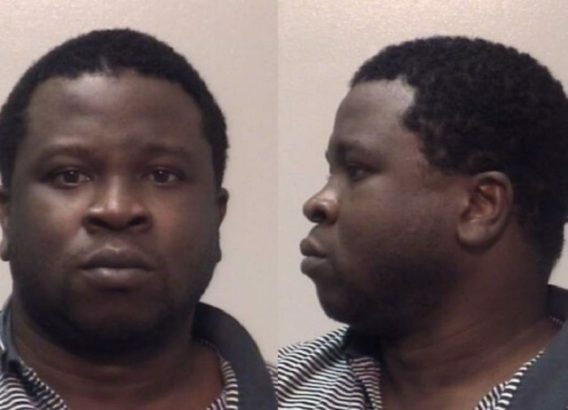 Ogunkunle was arrested Thursday and charged with aggravated battery and exploitation and intimidation of an elderly person. GBI spokeswoman Nelly Miles said the agency is focused on fighting crimes against the elderly and disabled, and in cracking cases like this one it’s important that suspicious activity and injuries are reported. “Over the years, we have definitely found that there has been underreporting, but since we started training law enforcement and prosecutors, we’ve noticed that there has been an increase in the number of reports that are made in these cases,” she said. Investigators said they will look into Ogunkunle’s past and work to determine if there are any other victims. “This case is just one example of if the case doesn’t get reported, there’s a great chance this person can continue to perpetuate these crimes. That is something that cannot be tolerated,” Miles said. An autopsy will help determine how the victim’s leg was broken and if she had any other injuries.